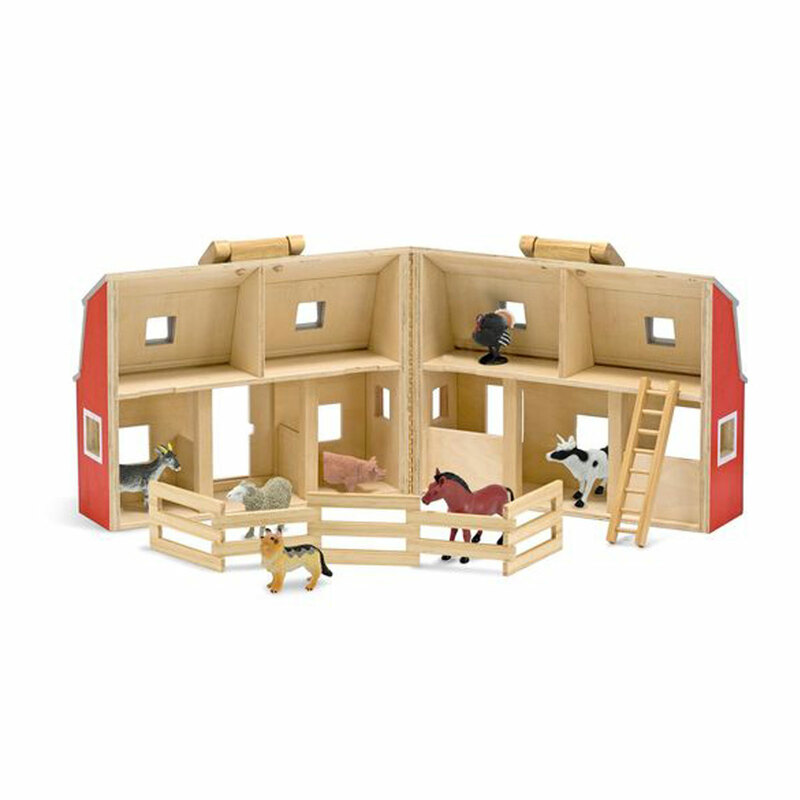 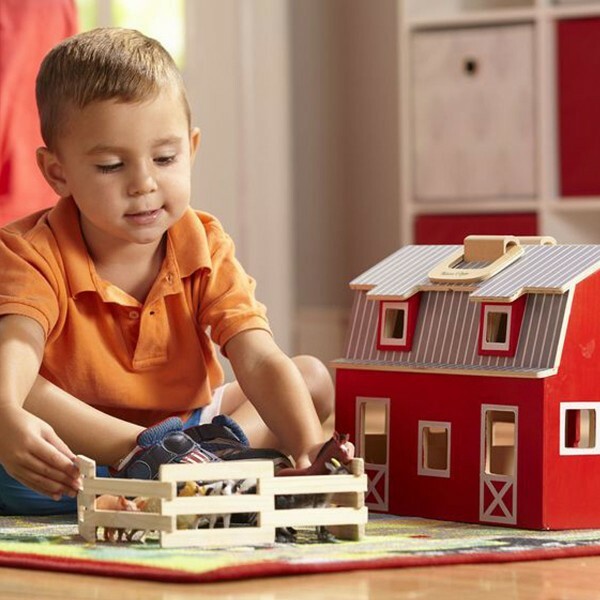 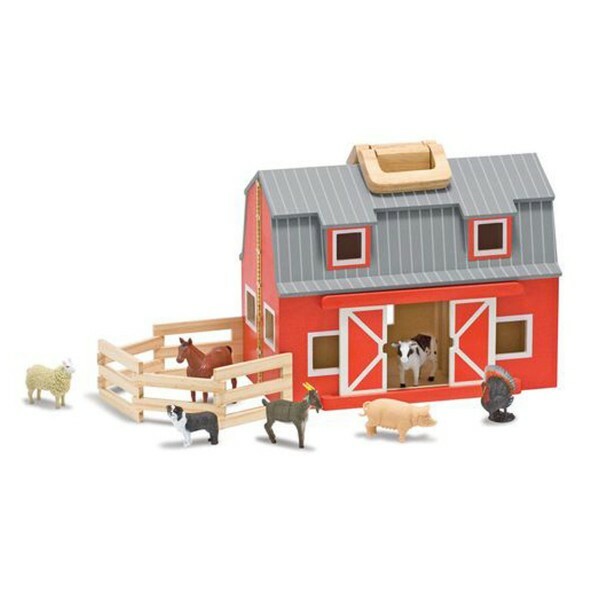 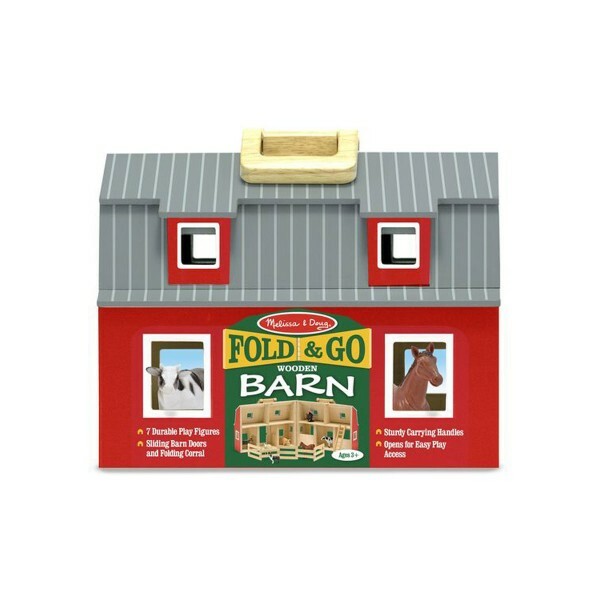 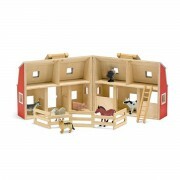 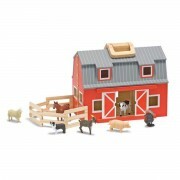 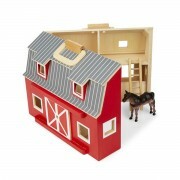 Young MacDonald’s will enjoy “down on the farm” fun with this fully assembled, wooden barn. 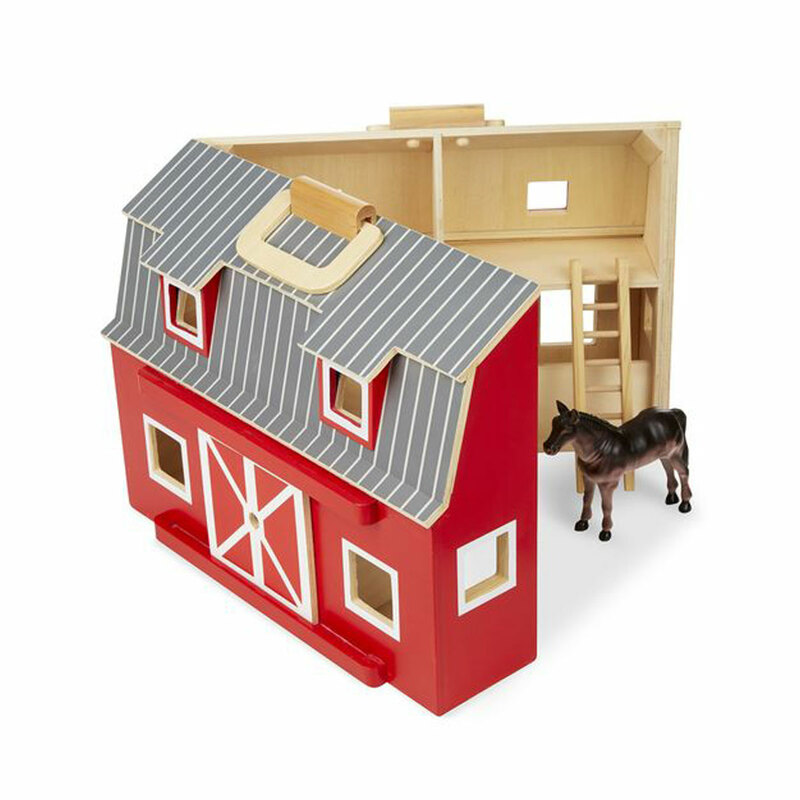 The two-story bright red barn is stocked with seven realistic farm animals, a wooden ladder and a folding corral. 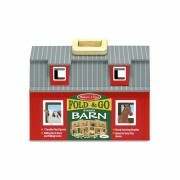 Chunky handles lets kids take their bit of “country” wherever they go!